For the outdoor enthusiast who can’t be without a hot meal or a good cup of coffee, the Jetboil is sure to quickly become the new favorite accessory. The Jetboil Genesis Base Camp System can easily heat up a warm bowl of chili after a long day of hiking, or assist in making the perfect cup of morning, camp-side coffee. The Jetboil brand offers a range of models; however, the Genesis Base Camp System comes with the works, including a fry pan, a two-burner stove, pot, and a lid/strainer. If you’ve got a hiker on your hands, or some who who just loves adventuring into the unknown, then they’ll probably really appreciate the REI Therm-o-compass. This guy works double-duty as both a temperature gauge and a locational device, which is pretty great because as anyone who spends a lot of time outdoors know, it’s important to be as efficient as possible when packing your bags. This two-fer compass definitely fits the bill. The key-ring device displays temperature in both Fahrenheit and Celsius, has a liquid-filled compass and an illuminated dial for low light readability as well as wind-chill chart to help calculate temperature differences. A really solid insulated jacket is truly a outdoor wardrobe staple. The Atom AR Hoody by Arc’teryx is built with Coreloft insulation and was crafted to be as thermally efficient as they come. The athletic fit design also comes with a helmet-compatible hood and a DWR-coated shell which makes this a good fit for those spending a lot of time in the snow or winter sport enthusiasts. Reviews maintained that Atom AR Hoody was also lightweight and non-bulky, making it comfortable enough to sleep in overnight, when necessary. There’s nothing better having a nice cold drink after a long day of backpacking, and the Hydro Flask line of water bottles boast some of the most long-lasting insulation tech on the market. Based in Oregon, the company makes a variety of container types, however, the 64-ounce growler just sorta seems like it was designed with camping in mind. Whether it’s your guy’s favorite brew or some homemade sweet tea, these tough containers have the ability to maintain their pour-in temperature (hot, or cold) for nearly 24 hours. Watches have long been at the top of the gift list for men; however, the sporty outdoorsman doesn’t need just any watch. He needs one that can stand up to the elements. 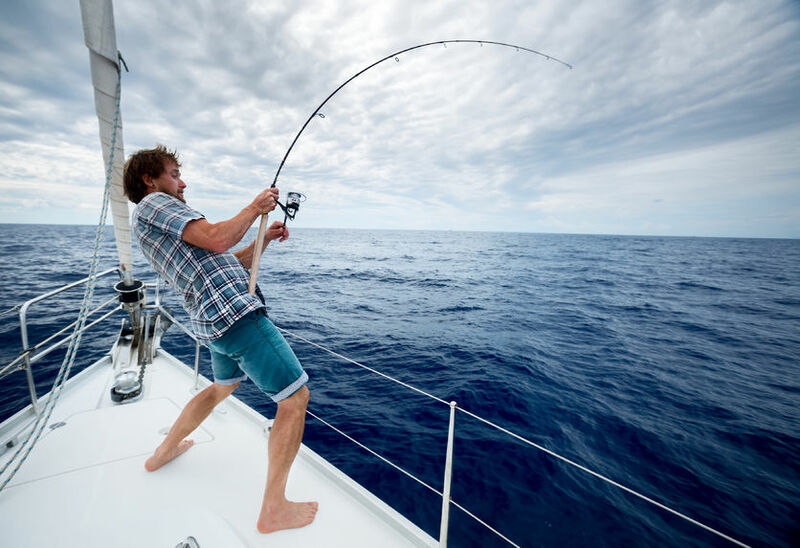 MVMT offers a range of waterproof watches that will keep him punctual out on the surf on the sailboat, or while he’s busy reeling in fish on the river. The Vertex Weathershield tent combines is a two-fer, working as both a tent and a hammock. The tent sleeps two above ground in a lightweight, breathable build with just the right amount of cozy. The Vertex also includes an easy to remove WeatherShield that covers the mosquito netting for extra privacy and warmth. The inside features two, separate hammock beds, so there’s no worrying about bunking with a cover hog, as well as extra storage for gear. If sleeping solo, there’s also an option to move their hammock bed diagonally. Additionally, the center section of the Vertex has enough space for two, good-sized backpacks and even a small child.